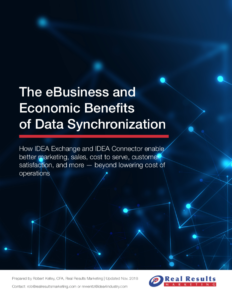 Download IDEA’s latest white paper, “The eBusiness and Economic Benefits of Data Synchronization”. This white paper discusses Information critical to competing in the Electrical eCommerce Marketplace. How trading partners are saving by implementing IDEA Connector and IDEA Exchange. How to calculate your savings with an ROI model. How the industry is changing and how technologies can be used to evolve the business. By submitting this request for information, I agree to be contacted by IDEA through email to learn more about the applications and services provided by IDEA.